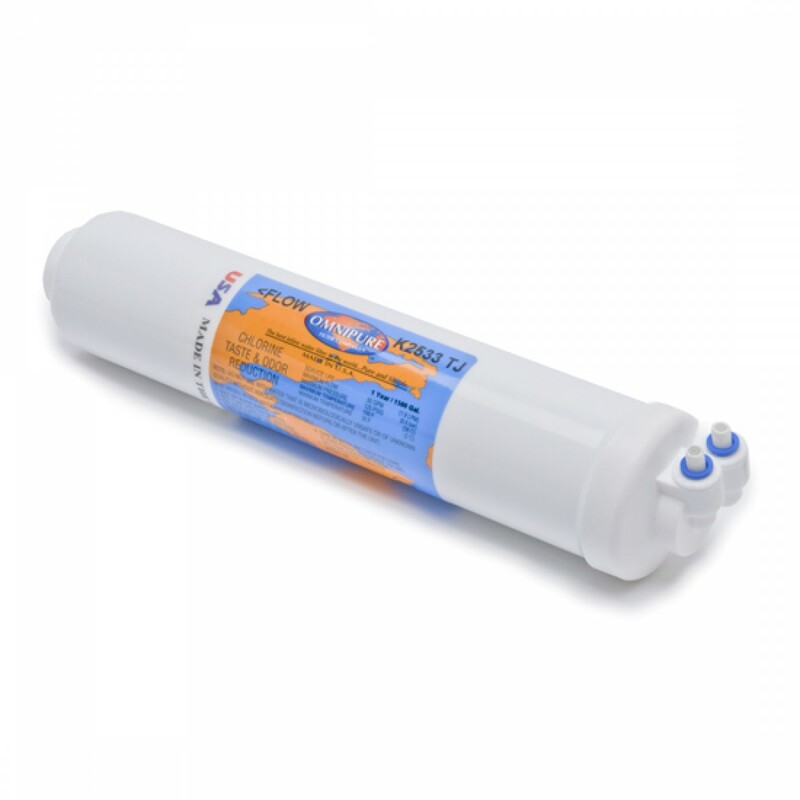 Omnipure offers you the best inline water filters in the world. The Omnipure K2533TJ improves the taste for your drinking water, pure and simple. Great filter for icemakers, refrigerators and as a postfilter for Reverse Osmosis Systems. The Omnipure Inline Carbon Filter fits standard 1/4-inch water lines that use a twin inlet fitting. The filter uses Granular Activated Carbon to remove contaminants for up to 12 months. 1/4-inch 90 degree twin female fitting (inlet) and 1/4-inch straight female fitting (outlet). 1 year limited warranty. Made in U.S.A.